Different varieties of beans have a number of differing characteristics, such as size, moisture and oil content. All of these factors affect how much ground coffee is produced from the beans, and therefore the strength of the coffee. The intelligent coffeeSensor System grinder automatically adapts the grinding time to the variety of bean you are using, so you will always have the perfect quantity of ground coffee for your desired coffee strength. 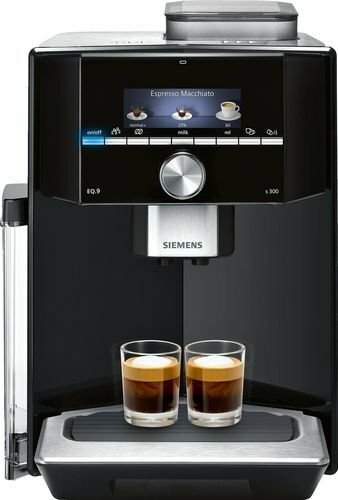 Whether you're taking a quick espresso break or savouring a glass of latte macchiato, the height-adjustable coffee outlet adjusts perfectly to each cup size. Even 15 cm tall latte macchiato glasses fit easily under the coffee outlet. Enjoy pure perfection down to the finest detail — without limitations. 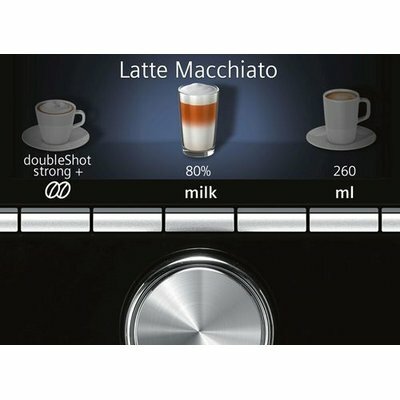 The ultimate coffee indulgence combined with state-of-the-art technology — that's what the 15,000 cup guarantee is all about. With this guarantee, Siemens promises a consistently high appliance performance for perfect coffee every time — from the first cup to the 15,000th. 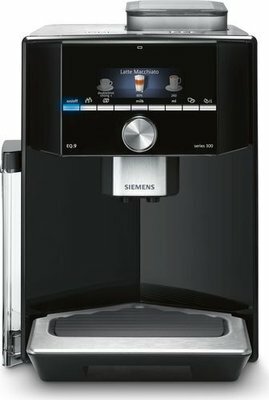 Those who have the highest standards when it comes to coffee demand only the best from their coffee machines, too. 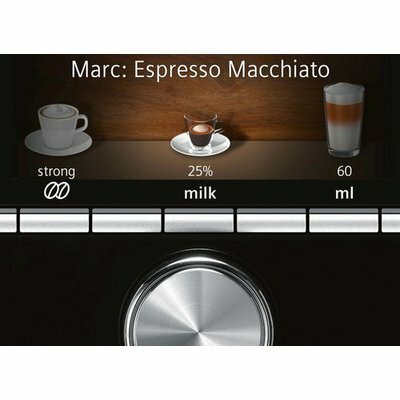 The innovative colour TFT display is not only a perfect match for the visionary design of the fully automatic coffee machine — it also makes the machine incredibly easy to operate. 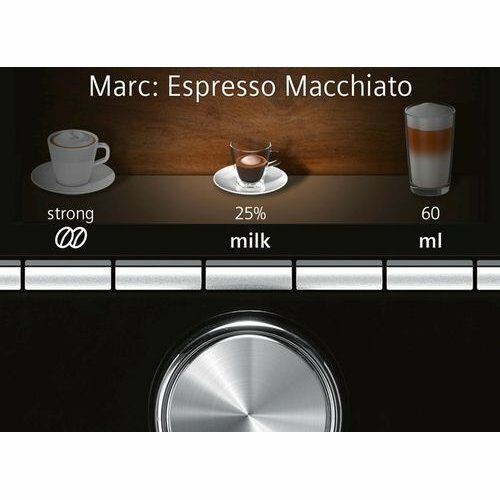 With interactive menu navigation and intuitive operating logic, this sophisticated technology transforms a simple convenience into pure pleasure. Adapter for milk carton seperately available: Decide for yourself if you prefer connecting the integrated milk container or using the adapter to connect any other container, e.g. a milk carton.